Milipol Paris 2019 will be held from 19 to 22 November 2019 at the Paris-Nord Villepinte Exhibition Centre - Halls 4 & 5a. All the event specific areas (conferences, startup platformdemonstration area, etc.). 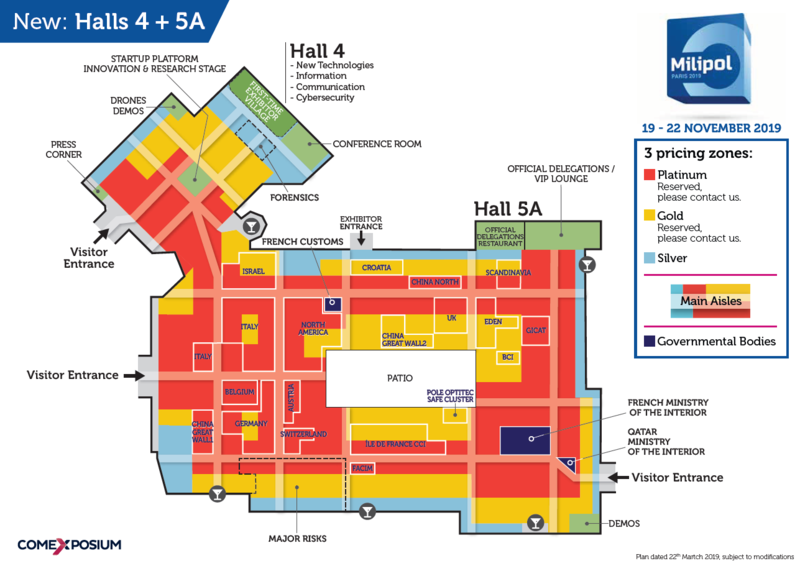 A few stands are still available, do not hesitate to estimate your participation at Milipol Paris 2019 or contact the Sales team at sales@milipol.com. The floor plan is updated on a regular basis and will be replaced by the interactive map in October.